Sea turtles and whales may be the charismatic critters of the sea, but the true kingpins of the ocean make up 98 percent of the ocean’s biomass — and yet individually are too small to see with the naked eye. These are marine microbes, a diverse group of organisms that includes microalgae, viruses, bacteria and archaea. They serve as the base of the marine food chain and are responsible for controlling much of the ocean’s nutrient flow and health. But given their prevalence, very little is known about how they interact and carry out fundamental processes in the ocean, particularly in deep, low-oxygen waters where the impacts of climate change are becoming significant. In these areas, up to half of all available nitrogen — a nutrient that is essential for all ocean life — is lost due to microbial processes on overdrive because of warmer ocean water and less circulation. Now, a University of Washington team has shed new light on a common but poorly understood bacteria known to live in these areas. By culturing and sequencing the microbe’s entire genome, the oceanographers found that it significantly contributes to the removal of life-supporting nitrogen from the water in new and surprising ways. The findings were published July 19 in the Multidisciplinary Journal of Microbial Ecology, a Nature publication. This organism, given the name Candidatus Thioglobus autotrophicus, is present in low-oxygen waters around the world and is one of the dominant organisms in these areas — between 40 and 60 percent of all cells in some regions. Living things use oxygen for their metabolic activities, but in low-oxygen areas, bacteria and archaea have evolved to “breathe” other elements available in seawater. One of those is a chemical called nitrate which, when respired, produces gaseous nitrogen. That gas escapes to the atmosphere, effectively leaving the ocean and removing valuable nitrogen from the water. The bacteria grown and sequenced by the UW oceanographers have been pegged as playing a big role in removing nitrogen from the ocean, but until now scientists didn’t have a complete picture of how it happened. The research team confirmed the bacteria are contributing to nitrogen loss, but in a different way than expected. More specifically, they are responsible for a key step — converting nitrate to a similar chemical called nitrite — which then goes on to fuel other nitrogen-removal processes. Earlier research had hypothesized that these microbes also produce ammonia, another nitrogen-containing chemical. Instead, the UW team found that the microbes consume ammonia, essentially competing with other organisms for this nitrogen compound that is also important for growth and development. At a global scale, the areas of the ocean where these bacteria live are getting bigger as climate change creates conditions that produce low-oxygen zones, including warmer ocean temperatures and less water circulation. Growing this organism in the lab was no easy task. The UW oceanographers combined several techniques to culture the bacteria in as close as possible to their native ocean environment. It took almost a year to stabilize them to the point where researchers could start doing physiological experiments. Even the experiments, however, took more time than usual, because these organisms grow much slower than most cultures grown in the lab. “Most experiments lasted 10 to 15 days because they were growing so slowly. But the advantage is they are actually behaving very similarly to how they do in the ocean environment,” Morris said. 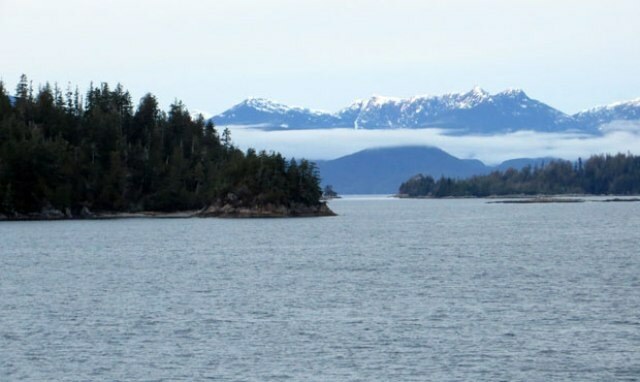 Shah collected the organism from a low-oxygen fjord off the coast of British Columbia from the R/V Thomas G. Thompson during a student research cruise. She then used these organisms to grow identical offspring in the lab. The researchers will look next at the role this bacteria play in the ocean’s carbon and sulfur cycles. They also recently received National Science Foundation funding to study this organism and its relatives in other low-oxygen areas around the world, including off the coast of Mexico. Bonnie Chang of the UW’s Joint Institute for the Study of the Atmosphere and Ocean is a co-author on this study. The work was funded by the National Science Foundation, the UW Royalty Research Fund and the IGERT Program on Ocean Change.